It should be with us all year,… but it isn’t….it’s brought to the forefront of our minds around this time each year… “It” is the idea of what’s truly important. For a brief moment in our otherwise hectic year, we pause momentarily to think about others. It seems that we tend to spend more time than usual thinking of our friends and our loved ones. Somehow, amidst the hustle and bustle of commercialism, we actually stop – albeit it briefly – and focus on the value and meaning of the relationships that are the closest to us – the ones within the context of our conscious world. But what about the relationships to our family as the Body of Christ? What about our call to take care of the needy and the downtrodden among us? “For the poor will never cease from the land; therefore I command you, saying, “You shall open your hand wide to your brother, to your poor and your needy, in your land.” Deuteronomy 15:11. How are we associating value to those relationships? ARE we associating value to those relationships? Have we become so involved in our own lives that we are desensitized to the needs of others around us….the needs of people we don’t even know? When is the last time that you thought about the needs of someone not immediately related to you …..Someone that you don’t even know? Many of us think we can’t “afford” to give money – we’re barely making ends meet in our own families. I think we’re missing the point if that’s the stance we take. One of the most valuable things you have is your time. When is the last time you volunteered your time to help someone in need? When is the last time you used your spiritual gifts to serve others in a ministry? Do you know what your spiritual gifts are? They aren’t for you – they are for other people. They may be for people you don’t even know personally….yet. As such, we need to set the example of giving and caring for others. It doesn’t have to be monetary. It can be a gift of our efforts or of our time. In many cases, that means more to the person on the receiving end anyway. In any case – it means getting beyond ourselves and sometimes out of our comfort zone to realize we are part of a larger family – the Body of Christ. If you haven’t “given” in this type of manner, I encourage you to do so. The feeling you’ll have afterward is indescribable. The reward you receive isn’t temporal – it’s far greater. You are doing what you’re called to do as a child of the most high God. 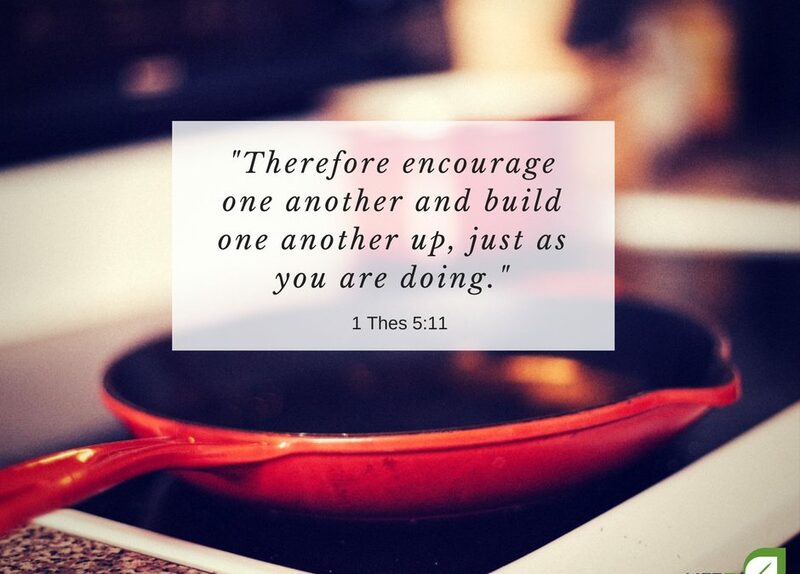 You’re following the example set before you by Christ, himself. What one thing can you do, this month, to give back to your community and to those around you in need? How will YOU choose to be Salt and Light?